When you stay at Peppers Soul Surfers Paradise in Surfers Paradise, you'll be on the beach, just steps from Cavill Avenue and Timezone. 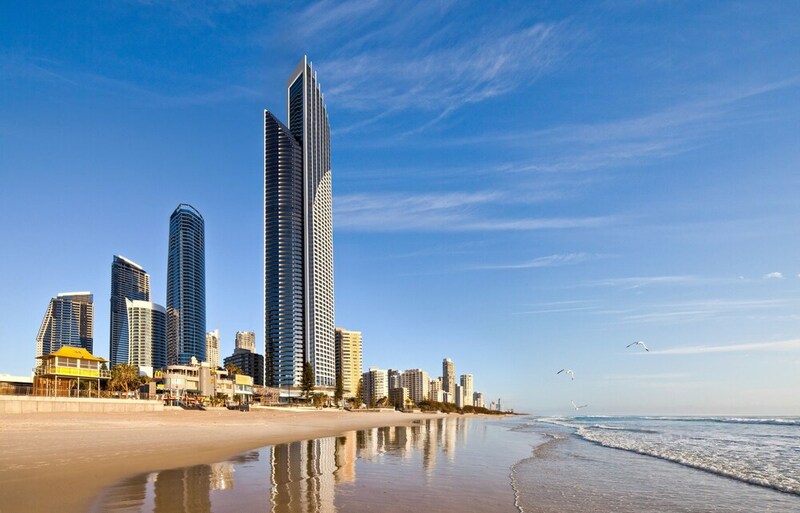 This 5-star aparthotel is 0.3 mi (0.5 km) from Chevron Renaissance and 0.4 mi (0.7 km) from Surfers Paradise Beach. Make yourself at home in one of the 199 air-conditioned rooms featuring kitchens. Rooms have private balconies. Complimentary wired and wireless Internet access keeps you connected, while iPod docking stations help you enjoy your music in the comfort of your room. Conveniences include safes and separate sitting areas, and housekeeping is provided daily. Take advantage of recreational opportunities offered, including an outdoor pool, an indoor pool, and a spa tub. This aparthotel also features complimentary wireless Internet access, concierge services, and wedding services. Enjoy Mediterranean cuisine at Hyde Paradiso, a restaurant where you can take in the ocean view, or stay in and take advantage of the room service (during limited hours). Breakfast is available daily for a fee. Featured amenities include complimentary wired Internet access, a business center, and a 24-hour front desk. Planning an event in Surfers Paradise? This aparthotel has facilities measuring 646 square feet (60 square meters), including conference space. A roundtrip airport shuttle is provided for a surcharge (available 24 hours), and free self parking is available onsite. Hyde Paradiso - Overlooking the ocean, this restaurant specializes in Mediterranean cuisine and serves lunch, dinner, and light fare. Open daily. An indoor pool, an outdoor pool, a children's pool, and a spa tub are on site. Other recreational amenities include a sauna and a fitness center.